While the best way to get vitamin D is sunlight, certain foods can help supplement your intake. Vitamin D is essential to bone health, cell health, and heart health. 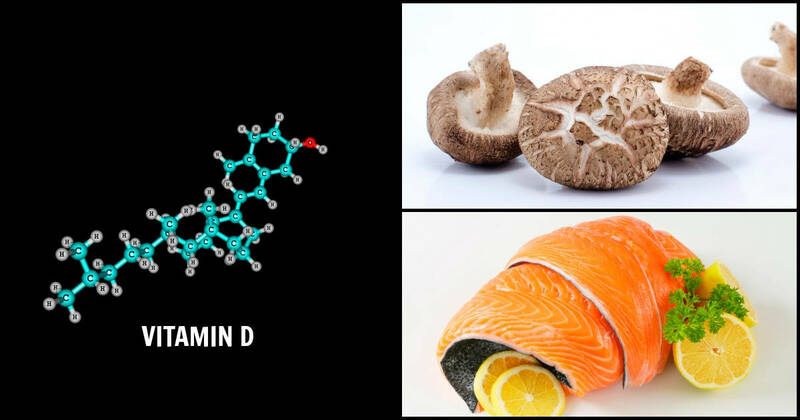 Consider adding some of the following foods rich in vitamin D to your diet to get even more of this essential nutrient. Fish roe(2) has a long history of being revered for its health benefits. Get this: one tablespoon alone contains 17000 international units of vitamin D (the American daily recommendation is 600 IU per day, and toxicity risk begins at around 50 000 daily IU taken regularly). Suffice it to say that fish roe provides more than enough vitamin D.
If you’re looking to round off your vitamin D intake for the day, eat an egg(3). A boiled egg contains 87 IU of vitamin D – a far cry from your daily requirement, but a significant quantity nonetheless. The vitamin D is found in the egg yolk, so unfortunately low-fat breakfast muffins won’t fulfill this particular purpose. With 10 000 IU of vitamin D per 100 grams, cod liver oil(4) hardly needs advertisement as an excellent source of the vitamin. The one risk of consuming this product is vitamin A overdose: some types of cod liver oil contain insanely high amounts of it. You should not be consuming more than 10 000 IU of vitamin A per day, so do your research before you decide to buy a specific brand. A 28 gram serving of atlantic herring(5) contains 460 IU of vitamin D. Basically, if you eat one of these and get some sun exposure regularly throughout the day, you shouldn’t have to worry about vitamin D. What’s more, that same serving will also give you 64% of your daily vitamin B12 needs. Strengthen your bones and wolf down a pack of sardines(6). 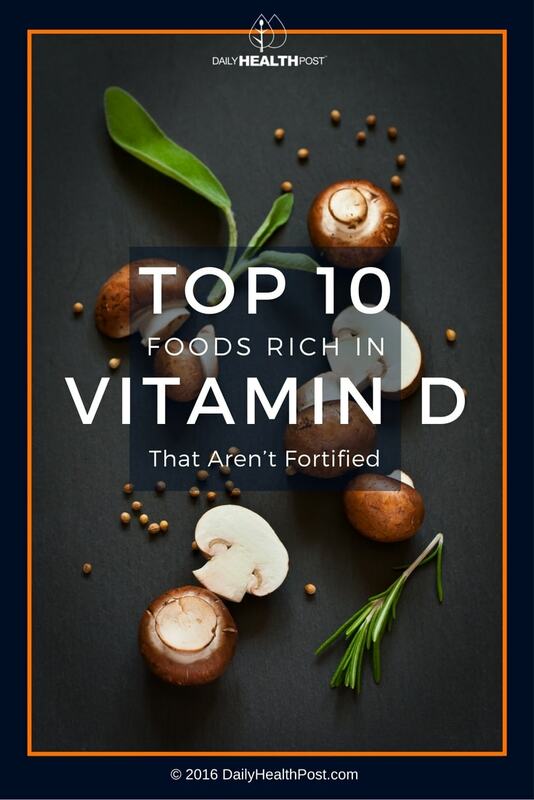 While they aren’t the richest source of vitamin D on the planet, less than 100 grams contains 44% of your daily requirement. If you’re getting enough vitamin D from other sources, you should have no problem hitting that golden one hundred. Sardines are also ridiculously rich in vitamin B12, supplying almost 400% of your daily requirement in just 100 grams. Yay for plants! Mushrooms are the only natural plant source of vitamin D. Much like human skin, when mushrooms are exposed to sunlight, they automatically generate vitamin D. Store-bought mushrooms can generate over 20 mcg, or 800 IU, of vitamin D per serving from a couple hours’ exposure to the midday sun. Keep in mind that the vitamin D produced this way is vitamin D2, which is much less biologically active than the more desirable vitamin D3. If you’re all about that fish life, why not try some trout? (8) Aside from salmon, they’re pretty much at the top of the vitamin D fish pyramid. As usual, it’s usually better to opt for wild rather than farmed trout. For those that eat fish, salmon(9) is a great food to up your vitamin D intake. With 988 IU of vitamin D per 2.5 ounce serving, just one chunk of wild salmon will fulfill more than your daily needs for vitamin D. Farmed salmon is usually not a good option and tend to be a vastly inferior source as it offers only one quarter of the vitamin D content that wild salmon supplies. 3 ounces of cooked mackerel will fill you up with 65% of the vitamin D you need in one day. That only applies to fresh mackerel, though-canned mackerel contains a mere 43% of your daily requirement! Overall, mackerel ranks high on the list of vitamin-D rich fish, which means you don’t need to buy much of it to get your fill. While you can’t exactly eat sunshine, it still remains by far the best way to get your intake of vitamin D. Light hitting your skin from the sun’s rays stimulates the production of this vitamin. For those living in colder, cloudier climates, it’s even more important to eat foods rich in vitamin D. There’s a reason why Native Inuit people in Alaska ate so much fish! Getting enough vitamin D ensures that you’ll be able to process the calcium you take in, lowers your cancer risk and promotes good heart health. The foods rich in vitamin D listed above, while in most cases not a cure-all for a deficiency, can certainly help raise your daily intake.